The Alliance for the Arts (AFTA) invites the public in general, and artists in particular, to come celebrate the opening of the Arts Hub & Resource Center at the Robert H. Gibson River Garden in downtown Brattleboro on Friday, December 10 from 6:00 to 8:00 pm. 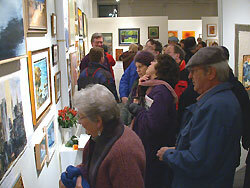 AFTA, a coalition of arts groups formed in March 2004 with the goal of increasing the influence, visibility and sustainability of local arts organizations, came up with the idea for the information center where locals and visitors alike can find out about the abundance of arts activities available locally for their enrichment, education and enjoyment. Generous financial support from the Brattleboro Development Credit Corporation (BDCC) and Building a Better Brattleboro (BABB) helped make the Arts Hub & Resource Center possible. A 14-panel display, donated by Hinsdale, New Hampshire-based Clear Solutions, spotlights the organizations and activities of many of AFTA's founding members, most of whom are certified nonprofits or 501(c)3s. An information desk, with a staff person prepared to provide information and answer questions, and a calendar of upcoming arts events will be part of the Arts Hub & Resource Center, which will be open from 11:00 to 4:00 pm, seven days a week. 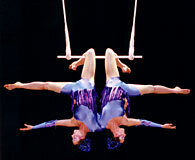 In addition to advocating on the local, state and federal levels for initiatives that will strengthen the arts' economic clout, AFTA's mission is to increase the public's awareness of the role the arts play in enlivening community life and fortifying the local economy. AFTA strives to explore issues of interest to local arts organizations; educate arts groups about issues critical to their success; strengthen arts education at all levels; and raise funds to support shared goals. The organizations at the forefront of AFTA's establishment nearly a year ago include: Arts Council of Windham County, Brattleboro Arts Initiative, Brattleboro Museum & Art Center, Brattleboro Music Center, Brattleboro School of Dance, Estey Organ Museum, Friends of Music at Guilford, New England Youth Theater, River Gallery School, Vermont Jazz Center, Wild Root Arts, and Yellow Barn.